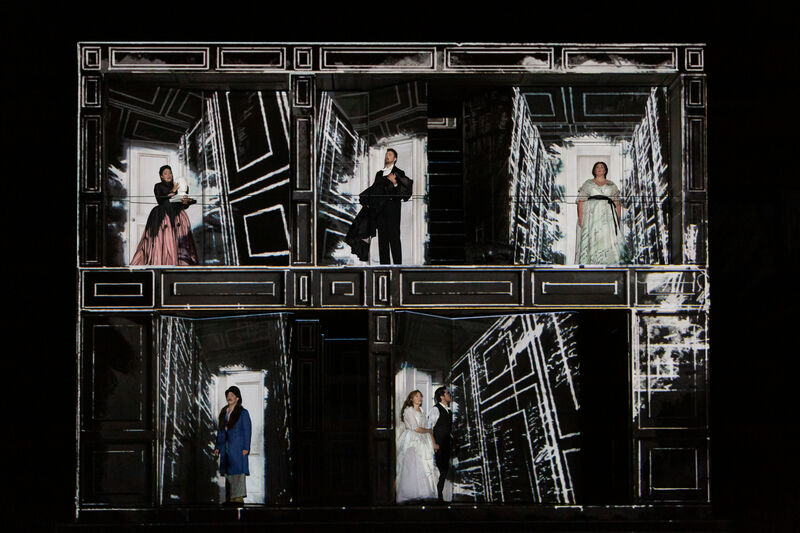 Doctor Bartolo (Peixin Chen), Count Almaviva (David Portillo), Don Basilio (Eric Owens), Figaro (Lucas Meachem), Rosina (Sofia Selowsky), Berta (Yelena Dyachek), and HGO Supernumeraries in The Barber of Seville. You don’t have to dress Characters as clowns to prove Rossini’s Barber of Seville is a comedy. One old oaf keeps two lovers apart until Figaro, a clever barber, steps in to help solve the simple problem of getting inside a house—and then getting back out. Since its 1816 premiere, the opera is one of the few comedies to endure, year after year, as a crowd favorite. 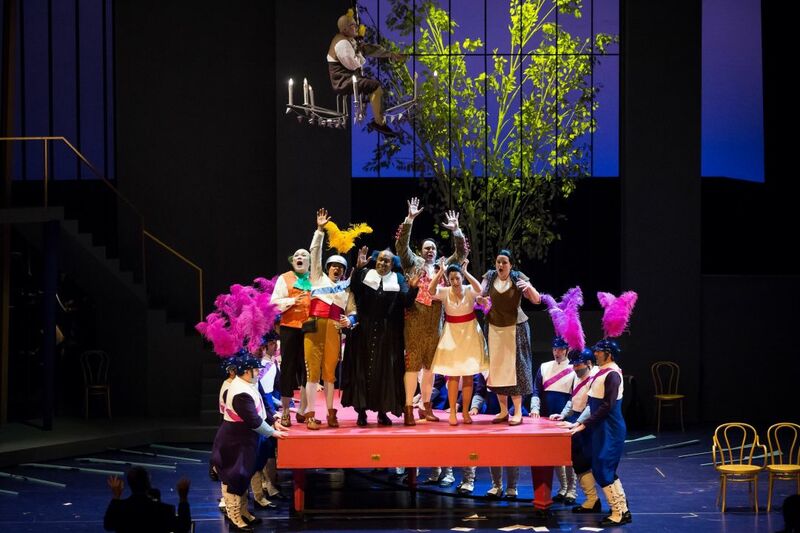 But in a co-production directed by Joan Font alongside Canadian Opera Company and Opéra National de Bordeaux, Houston Grand Opera needlessly dresses several characters as clowns. Set and costume designer Joan Guillén further assembles an oddly deconstructed aesthetic, fencing in spaces with gray netting, setting hemlines askew, and throwing in both a comically large guitar and a big red harpsichord. Yes, giving a police fleet grand pink-feathered plumes is visually fun, but, like all of these haphazard elements, it doesn’t meld with anything else. From top to bottom, the production looks like Dr. Seuss tried to go postmodern (and sounds a bit like it, too). 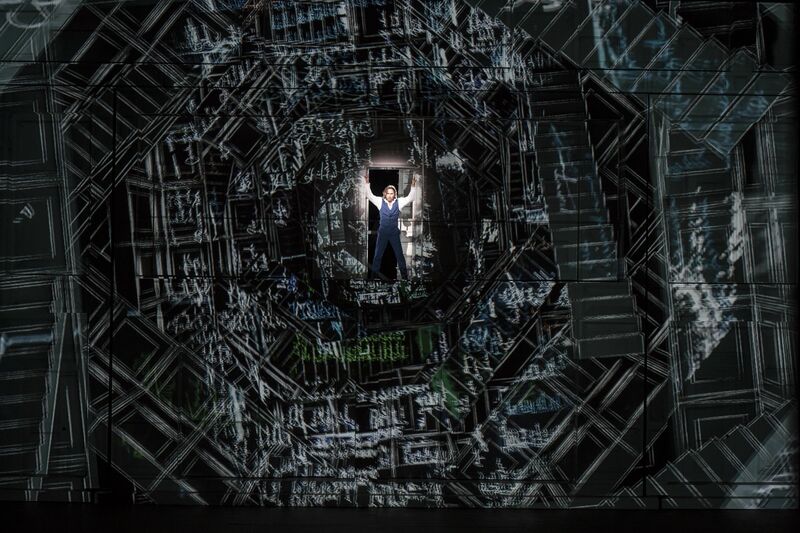 Against this visual mishmash, baritone Lucas Meachem throws quite a vocal punch as Figaro. Even if you don’t know anything about opera, you know Figaro’s first aria, “Largo al Factotum,” where he tells anyone who will listen just how super it is to be a barber. Everyone wanting you for a quick shave, a new wig, dropping the latest gossip into your ear—you know, Figaro up, Figaro down, la la la la—it’s the best. The libretto is ridiculous, but I’ll believe anything Meachem sings to me. Originally, Rossini wrote Rosina’s role for Signora Gieorgi-Righetti, a mezzo-soprano who had the wrong voice for a star soprano role like Rosina’s, and that has made it a difficult role to cast ever since. Mezzo-soprano Sofia Selowsky has a uniquely low, deep range for the role, and she soars over Rossini’s many punishing ornaments, but her voice was often too heavy for the blithe character. As Rosina’s lover, Count Almaviva, David Portillo had a slow start with his opening serenade—vibrato running too wide and the tempo stagnant. When the tenor made his HGO debut as the Magic Flute’s Tamino in 2015, he sailed through with a golden, robust tone, and after his first tepid aria, that gold timbre came through even more polished than before. Likewise, Eric Owens (as Don Basilio) and Peixin Chen (as Dr. Bartolo) made happy returns singing robustly while also proving light on their technical feet. With the orchestra almost completely tucked out of sight behind the stage (a secondary conductor perched low in front giving basic cues), the downtempo pace Portillo sank into might have been a precaution. But conductor Emily Senturia even took it easy in the overture, which, without singers to worry about, was the one place she could have (and perhaps should have) let loose to set the tone for the feisty story. Barber of Seville is impervious because it doesn’t take itself too seriously in any way—narratively, technically, even musically. Rossini claims he wrote it in 13 days, flinging chorus numbers and frivolous arias together at will. 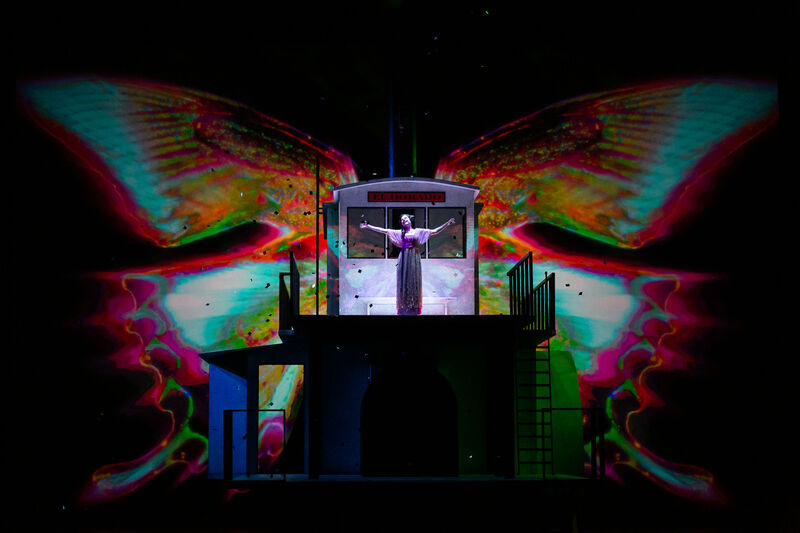 Audiences will be rest assured when they go to this opera because they know they’re in for a merry good time, and this production perhaps takes the merriment to its logical extreme. Thru Feb. 10. 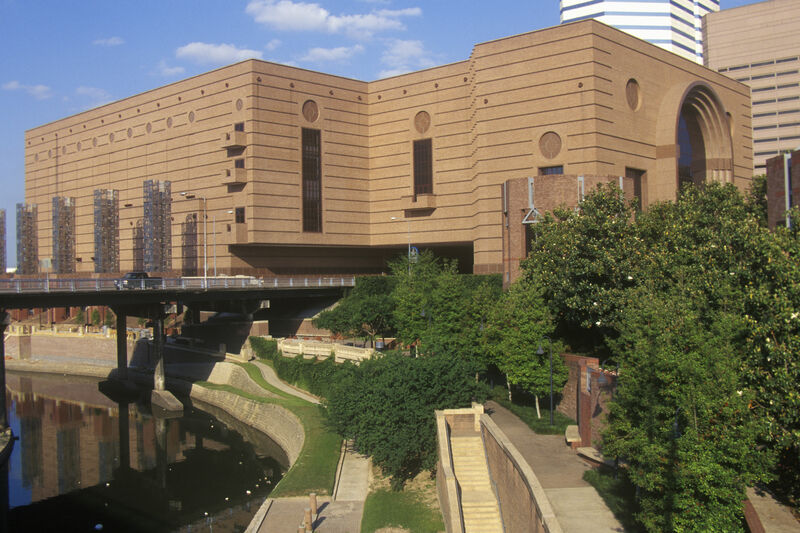 Resilience Theater at George R. Brown Convention Center, 1001 Avenida de las Americas. 713-228-6737. More info and tickets at houstongrandopera.org.